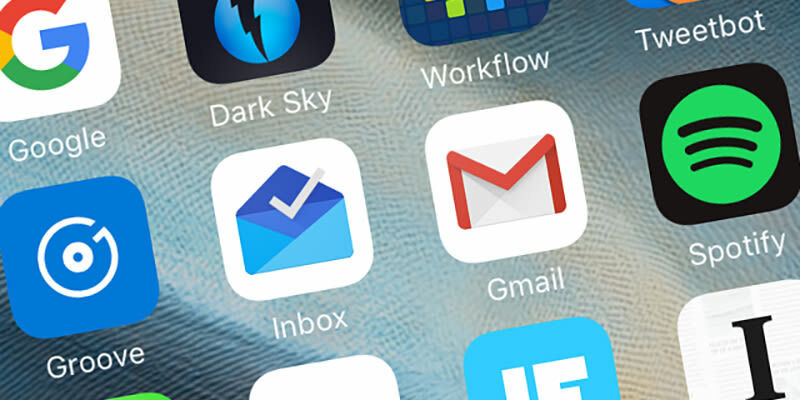 Email Management: How is SaneBox Is Different From Google Priority Inbox? SaneBox is like a super-smart assistant who’s been with you for years and knows what’s important to you. 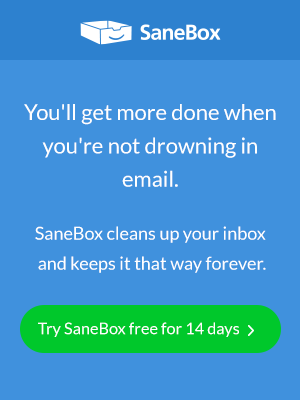 SaneBox filters unimportant emails out of the inbox and summarizes them in a daily digest for easy processing. Between intelligent filtering and a suite of productivity features, SaneBox saves the average user 2 – 4 hours each week. Over the last few years, Gmail and Microsoft have built products that compete with SaneBox and offered them for free, specifically Gmail Tabs, Gmail Inbox and Focused Inbox. However, they lack power in some key areas. SaneBox and Gmail’s Priority Inbox feature are similar in the way that they both look at your messages and prior email history with senders. Then, they decide which emails you’re likely to find most important. When you use the Priority Inbox feature, it separates your email into three tabs: Important and Unread, Starred, and Everything Else. All the mail stays in your inbox, but the “important” messages are at the top. SaneBox takes it one step more – it removes less important messages from your inbox completely, moving them to an @SaneLater folder that you can peruse whenever you want. If SaneBox puts an important message into that folder you can move it to your inbox and it remembers the action so the next time you receive a message from that person, it will go to your inbox. Focused Inbox only works with Outlook mobile or on the Outlook web app, and not on any other email client (and it doesn’t work on desktop, either!) Although Clutter currently functions as a folder, it will soon be replaced with Focused Inbox. That means when you jump between a supported and non-supported client, you’re half living in the old email world of a cluttered inbox and half living in a “focused” inbox. SaneBox works anywhere you check email, on any device or client – not just in the Gmail/Office 365 web interface or Google Inbox client. Like SaneBox, these services learn from your actions to determine the messages you are likely to ignore. As less important messages arrive, they are automatically moved to a specific folder. Our customers (>50% of whom are using Gmail) claim that our accuracy is significantly better than that of Inbox – and without any training required. This is because our algorithms study the relationship trees in your email history (without ever looking at the content of your emails – for security and privacy reasons) to decide which emails are important to you personally. Inbox, on the other hand, seems to apply a global set of rules which are not personalized to you. To let numbers speak for themselves, if you’re getting at least 60 emails per day, there’s a 52% chance you’ll convert to a paying customer after the free trial (and we don’t ask for a credit card upfront). In other words, we’re not exactly sure why we do a better job, but our customers tend to think it’s worth paying us money for. Immediately upon sign-up, SaneBox cleans unimportant messages out of the inbox and places them into a folder called @SaneLater. The initial and ongoing filtering is based on users’ individual email habits – which emails they open, which they respond to, how quickly, how often, et cetera – and is based solely on email headers. And you can train SaneBox immediately by moving an email between your Inbox and the SaneLater folders. SaneAttachments – Automatically upload attachments to Dropbox, Evernote, Box, etc. …and many more features to enhance your existing email setup. SaneBox is not free – for a reason! We’ve created SaneBox to ensure that our service has to be so valuable that people will happily pay for it. As our CEO says, “If you’re not paying for a product, then you ARE the product”. You are our customer, not our product. We will never sell your data to anybody or annoy you with ads. Read more about SaneBox privacy and security here. Check out what some of our happy customers have to say about using SaneBox! Roadrunner Email Support have fixed many Roadrunner Email issues range from the simple issues to the highly complex ones.Roadrunner Support is team of experts that will provide you professional guidance with all Roadrunner Email related Issues in one place. SaneBox is an email management software as a service that integrates with IMAP and Exchange Web Services. if you understand about Windows Errors and how to fix the error on the window then you can learn more about it.